At some point of time in your life you will realize that you have been emotionally debating around issues being unaware of its deep and diverse roots.When we see an act of brutal discrimination against a poor race, we start feeling squeamish and yell around what we witnessed. But believe me, you can never understand or experience the pain and torture that these Hazara people have been through since the birth of their race. 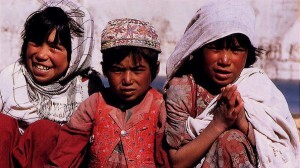 Hazaras are generally Persian-Speaking people who solely count themselves as Shia Muslim. This race finds its residence mostly in Afghanistan, Iran and Quetta of Pakistan. Quettais the largest city and provincial capital of Baluchistan where Baloch and Pashtun are the two main ethnic groups; the city holds a population of 13 million. Hazaras who live in Quetta are pretty poor in number, about half a millionin number currently and gradually losing their population due to unimpeded slaughtering and sectarian attacks. Because of their mere inhibited strength and lack of resources, these people are getting sandwiched between the Balochi and Pashtuns groups. In 19th century, when Hazaras were evolving as a civilization, Emir Abdur Rahman Khan came in to power and slaughtered nearly half of them. Furthermore he plotted Sunni Muslims against Shias and the act of brutality is still flashing its red colour in the eyes of every Hazara. Even in 21st Century, the catastrophes have not stopped shadowing these tribes.Though worldwide protests have caught much foreign attention towards systematic discrimination, ethnic cleansing and genocide of Hazara people, but the number of massacres has not diminished yet. Where the racist tyrants keep on targeting them in broad daylight while the government is still dozing, lost in fantasy.You will be shaken when you will come to know that 2410 people have lost their lives only in Baluchistan since 2006. It’s also a matter of great disgrace that one-third of the victims are children. Sunni extremist militant groups like Lashkar-e-Jhangvi and terrorist groups like Baluchistan Liberation Army are held responsible for the slaughtering. These sectarian killers are targeting Hazaras in shops, market places, hotels, mosques, hospitals, in fact wherever they can get their hands on this marginalised race. If you are a Hazara then you will never know when and where a bullet will hit you and untied your soul from your mortal body. When you close your eyes at dusk, the dawn can only be described as an uncertain future. A report displays that 85%, i.e. 454 people, have lost their lives in sectarian attacks out of total 534 casualties since September 2011 to 2012. I do fear, life out there has become just like a water bubble for these Shia Muslims. Reacting to the situation a Pakistani citizen says, ‘‘something very corrupt and evil has seeped into the psyche of the country and appears to be spreading and it looks like no one cares.’’Law and enforcement system of the province -the only hope of these innocent people – refuses to lift a finger against it wherein the police forces are truly falling short before these man slaughters. No one is there even to throw a straw to these drowning tribes of Quetta. So it is crystal clear that these public servants are openly accepting their strong ignorance towards on-going sectarian attacks.But I really don’t understand the peculiar behaviour of these bureaucrats;is it because of fear, negligence, and incompetence or is it pure politics? Whatever it may be, but there are thousands of innocent lives still hanging in jeopardy and this has to stop. I have truly no words to describe what Hazaras have been through but no one can deny that this is another heinous example of tactical barbarism in the pursuit of prejudice that the world has ever seen.